Amanda Gutiérrez (MX, *1978) is a Chicago-based artist from Mexico who focuses on the concepts of memory, home and urban landscapes in the context of the social, political and personal effects of migratory displacement. Her narrative techniques shift between formal strategies of documentation, oral recreation and fictional elements. 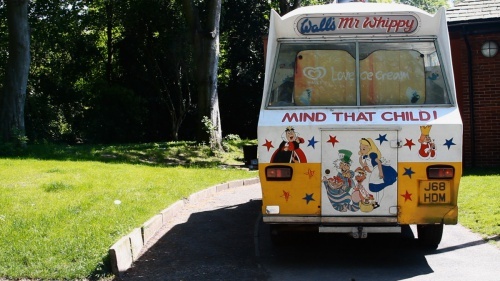 She uses photography, video and sound to create an ambiguous assemblage of remembered stories. 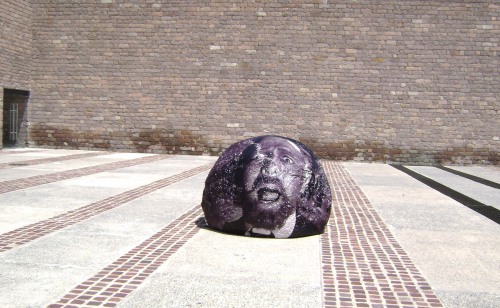 Gutiérrez already was part of several stipend programmes worldwide like the FONCA programme at the Banff Centre of the Arts in Alberta (CA) in 2009, the Taipei Artist Village in Taipei (TW) in 2009 and the Centre for Art and Media Karlsruhe (DE) in 2002. She presented her artwork in several venues such as The Windor Gallery in Madrid, Spain, Askeaton Contemporary Arts in Ireland, The Silver Cloud Gallery in London, UK, One Year Gallery in Taipei, Taiwan, and Khiasma Space in Paris, France, among others. 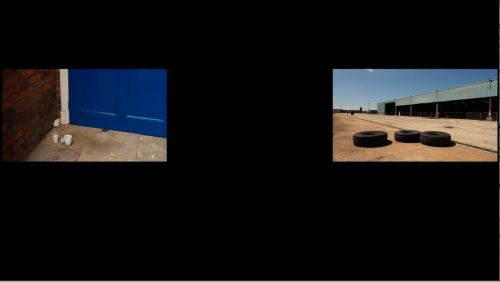 The project Time Topographies: Liverpool is a site-specific video triptych which portrays the story of three immigrants of different nationality, age and gender living and working in Liverpool. 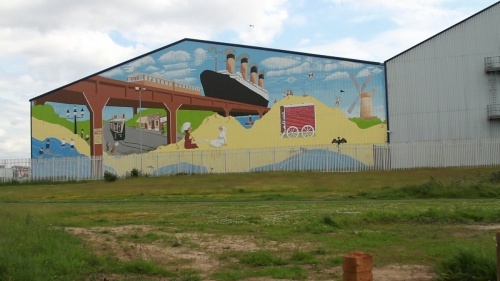 The images are compiled mainly by landscapes of the city. The voice-over is composed by a screenplay based on the oral stories, portraying their journey to the new nation. The project aims to embed their memory in relationship with space, using the landscape as the reconstruction of identity. 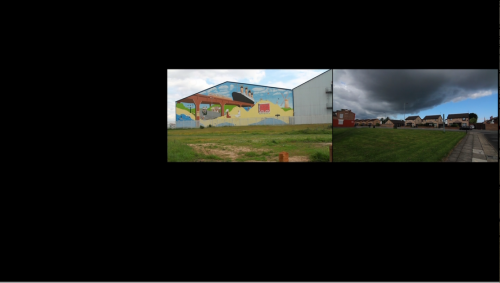 The first triptych was already produced in Mexico City and Chicago and has been exhibited at Khiasma Space in Paris, Ex Teresa Arte Actual in Mexico City and Laboratorio Arte Alameda in Mexico City. Omar Kholeif is an Egyptian-born, UK-based writer, curator and producer. His writing appears in The Guardian, Art Monthly, Ibraaz, Film International, Frieze, WIRED, and many other publications. He is curator at FACT (Foundation for Art and Creative Technology), Liverpool, the UK’s national centre for film and new media, and Visiting Curator at Cornerhouse, Manchester’s international art and film organisation, and Associate Curator at the Arab British Centre, London. He is founding Director of the UK’s Arab Film Festival, a curator for Abandon Normal Devices and a contributing curator to the Liverpool Biennial of Contemporary Art, among others. Kholeif’s cross disciplinary curatorial practice is focused on the presentation of film, video and new media for both the cinema and the gallery – producing international exhibitions, festivals and public programmes. Omar is a founding editor of Portal 9 (Beirut), co-editor of Vision, Memory and Media (Liverpool University Press 2010), Far and Wide: Nam June Paik (LEA 2012), among others. He holds degrees from the University of Glasgow and The Royal College of Art, London. 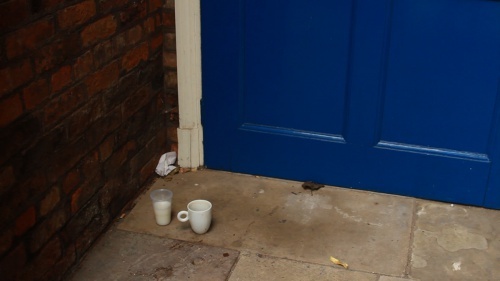 He is a Fellow of the Royal Society of Arts. Hotel Weltfrieden was originally opened in 1905 by the hotel owner Rudolf Dietrich under the name Metropol-Hotel. 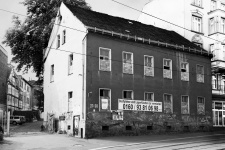 In 1924, Dietrich converted the building and renamed it Gaststätte Haus Dietrich. In the wake of the financial crisis he sold it in 1931 to the brewery Eger, who managed it up to 1941 under the name Egerer Hof. In 1952 the hotel was reopened as Hotel Weltfrieden. It was the first HO Hotel (HO – GDR’s centralised trade cooperation) in Halle. 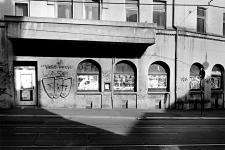 In 1974/75 the buildings in Große Steinstraße 63/65 were incorporated into the business. During the 1980’s there were insufficient funds to carry out necessary renovations. After the end of the GDR the house was taken over together with the neighbouring building by a Munich hotelier. It long remained unclear who legitimately owned the former Hotel Weltfrieden so that only the house next door could be bought. 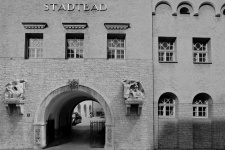 It continues today under the name Hotel am Stadtbad. Hotel Weltfrieden has been vacant since the late 1990’s. Dina Rončević (*1984) is a new media artist and a puppet animator from Croatia who has graduated from the Art Academy in Zagreb. Rončević’ work mostly questions gender positions and often has a performative character. For her graduate work she completed a professional training to be a car mechanic. 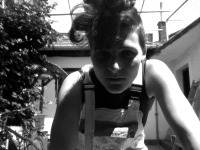 During this three-year long project (2007–2010) she worked on issues of social identity and gender roles in this masculine dominated socio-cultural niche. Her work has been shown e.g. 2011 at the XV Biennale de la Méditerranée in Thessaloniki (Greece). This year she takes part in an ephemeral group exhibition Simplon Express / the Return on a historic train connection between Zagreb and Paris which was conceived by the curator Ida Biard. 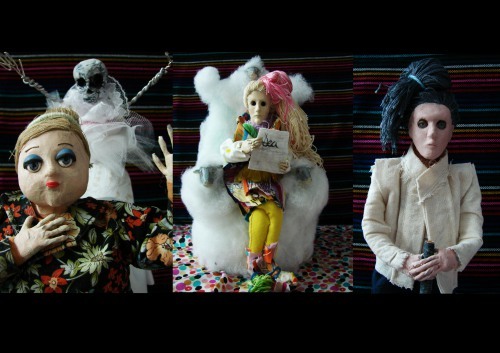 The video Grannies is Dina Rončević director’s debut for which the artist will produce three puppet characters by hand. In the movie trailer-like animated film clip two unconventional ladies will move into a conservative housing community. Their way of life brings their neighbourhood in an uproar. Dea is a textile designer full of creative outburst of colours and energy. Agarta is an out-of-this-world zen human that likes nature and numbers. Together they are confronted with Miss Hablek who is an oldfashioned bourgeoise with a burning desire to tie a wedding knot, with nothing better to do in her life than to watch soap operas. Subject to the conflict is a dowry chest, which arrives on Dea’s address. It represents certain material values for some inhabitants. For others the dowry chest is a possibility of a modern rethinking of property and value traditions. With her manual work on the props and characters of her animated film Rončević will also refer to a craftsmanship traditionally assigned to women. 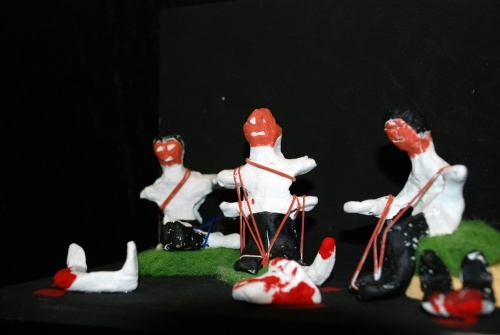 Therefore Rončević will exhibit a selection of handmade dolls next to the projection of the short film. 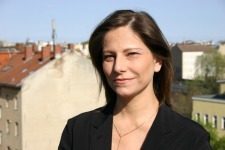 Sandra Naumann is a media historian and curator based in Berlin. Her fields of interest are visual music, avant-garde film and audiovisual live performances. She was working as researcher at the Ludwig Boltzmann Institute Media.Art.Research in Linz (AT) on the exhibition, research and mediation project See this Sound on the relation of image and sound in art, media and perception. Together with Dieter Daniels she edited Audiovisuology: Compendium. An interdisciplinary Survey of Audiovisual Culture and Audiovisuology 2: Essays. 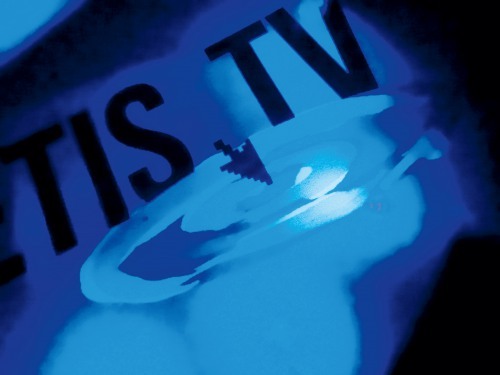 Histories and Theories of Audiovisual Media and Art. As curator she developed programmes for transmediale, CTM, sound:frame, Shift, Elektra, Experimenta and others. Her previous occupations embrace repertory cinema, film distribution, film production and film festivals. She studied Communication and Media Studies, Art History and German Literature at the University of Leipzig and the University of Manchester. Little is known of the earlier history of this mysterious seeming and architectonically extraordinary art nouveau house. Even behind tarps and scaffolding the decorative facade still testifies to the original splendour of the house, which is heritage protected. The entrance has ornamental moulding and wood panelling. The stairwell encloses the centrally situated mechanical wooden elevator. Around 1955, the elevator cabin got stuck between the second and third floors, where it remains today. 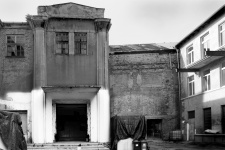 In the last years, the mainly vacant building has been used again by artists from the Burg Giebichenstein University of Art and Design for exhibitions and film presentations. The shop space at the left side of the ground floor has served as a gallery since winter 2011/12. In spring of this year a music space opened in the shop space on the right side. Jan-Peter E.R. Sonntag (DE, *1965) is an artist and composer. He studied art, art history, musicology, philosophy and cognitive science with Rudolf zur Lippe, Ivan Illich, Umberto Maturana, Gert Selle, GMD and Gustavo Becerra-Schmidt among others. Sonntag is the founder of N-solab. He participates frequently in international exhibitions and media art festivals and has received numerous grants and prizes, including the Deutscher Klangkunstpreis in 2008, the Cynet Art Award in 2008 and residencies at MANIF d’Art Québec and at Villa Aurora in Los Angeles. Diego Rivera’s giant mural Sunday Dream combines all social strata and all periods in a utopian nostalgic reminiscence of youth. The work was commissioned for the Lobby of the Hotel del Prado in 1947, which was partially destroyed in the 1980s earthquake and has now been renovated and to which a museum has been added bordering directly on Alameda Park. Mexico’s revolution from 1910 was “institutionalised” in Rivera’s time under the leadership of General Díaz. The viewer sees an Organillero in simple revolutionary uniform. The more than 100 years of use have inscribed themselves into the tone. The constant grinding has altered not only the intonation but also the score, sown into the barrel in the form of rods. The resulting sound is more than a mere medial shadow – it is a rhythmical and melodious variation on the former themes. “Harmonipan – Frati & Co, Schönhauser Allee 73” is printed on the box. In 1879, Giovanni Battista Bacigalupo and Chiaro Frati had founded a firm producing pneumatic, mechanical musical instruments. Over the years the Bacigalupos grew into a hand organ dynasty in Berlin’s Schönhauser Allee. In the late 19th century, up to 3000 hurdy gurdy men flooded into the streets and back lots of the capital. Until the 1920s, when the man with his musical machine was gradually driven out by the noise of traffic and new media such as the gramophone and later radio, Berlin was the centre of begging. The hand organs never belonged to their players, who instead rented them. It was also required to have a licence to grind, which was often awarded in the Kaiser’s empire in lieu of war pensions for disabled soldiers. German entrepreneurs brought the instrument and accompanying business model to South America at the time of the Mexican Revolution. Since 1975 there are “Free Unions” of such coffee brown or grey uniformed Organilleros, who are often proud to continue a long family tradition of blasting Mexico City’s public places for a pittance. Even today, no Organillero can afford to own his old machine. In Sonntag im Park I recompose the digitally recorded impressions with their overstretched resonance in digital space as they reverberate in my memory; the echo of a revolution frozen in time. 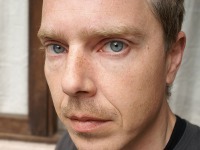 Christian Koch (*1971) is a freelance cultural producer and writer. After working as a musician and magazine editor, he joined the Württembergischer Kunstverein Stuttgart as financial manager. Until 2012 he was executive director of PACT Zollverein in Essen, one of Europe’s leading centres for contemporary performing arts. Katrin Mundt (*1970) is an independent curator, writer and teacher. She has curated exhibitions and film projects for, amongst others, the Württembergischer Kunstverein Stuttgart, Hartware MedienKunstVerein, Dortmund and [plug.in], Basel and has worked on the programme commissions of festivals such as EMAF, Osnabrück, the International Short Film Festival Oberhausen and Kasseler Dokfest. She currently teaches at the Institute for Media Studies at the Ruhr-Universität Bochum and regularly contributes to art magazines and catalogues. Kathrin Kur (DE, *1975) studied Philosophy at the Freie Universität Berlin, Critical Fine Art Practice at Brighton University and Critical Theory at Birkbeck College, London. Using the artistic instruments of photography and digital media, she intervenes in and documents the construction of places with ambivalent claims to reality. In 2009 she was awarded the RICCARDO PEZZA European Photography Prize and was nominated in 2008 for the Prize for European Photography of the European Central Bank. 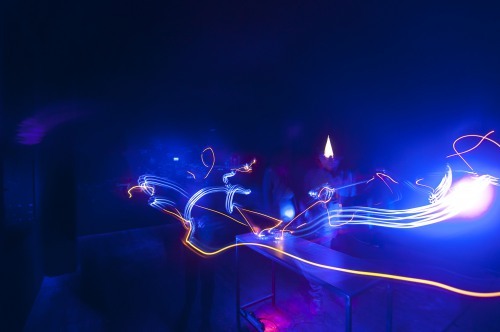 Kathrin Kur is one of the founding members of the LED art collective Flunk and in 2007 she co-curated the international conference MediaArchitecture. 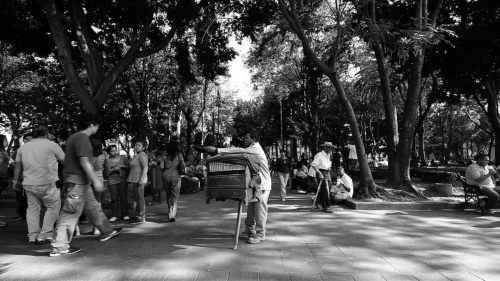 Kathrin Kur presents a photo series and two videos from Mexico City. 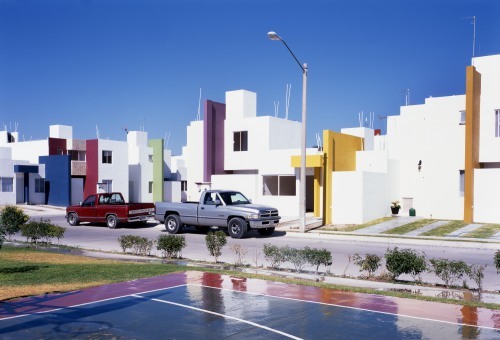 The photo series Fraccionamientos portrays the boom in standardised housing estates in Mexican industrial centres such as Aguascalientes and Chilpancingo. These heavily guarded compounds are reminiscent of the reglemented architecture of modernism and shed light on a country influenced by American capitalism and living in continuous fear of criminality. Tlatelolco borders on Tepito, the most dangerous area in Mexico City. In the Mexican psyche it remains darkly burdened as the site of the student massacre of ’68 and the catastrophic destruction of the 1980s earthquake. 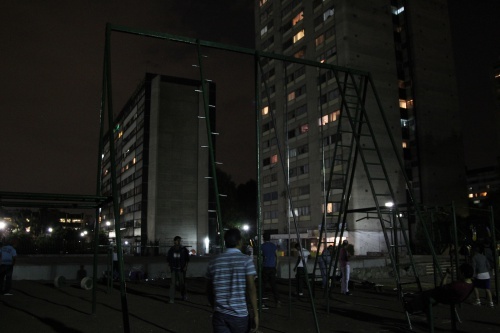 Against this background, the video piece Tlatelolco (El Andamio) shows an acrobat whose nightly training in a public sport facility becomes a contest against himself. A further video piece Blow Up investigates the striking religious re-enactments and performances surrounding the explosive hammer ritual, which takes place annually in the village of San Juan de la Vega, Guanajuato. Eva Sangiorgi graduated from the University in Bologna, Italy. 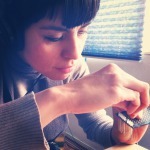 Since 2003 she lives in Mexico City where she has been working in film and video productions with contemporary artists and as film programmer for institutions and events, e.g. FICCO in Mexico City, Cinema Planeta, Museo del Eco among others. Now she is directing and programming the International Film Festival of UNAM (Universidad Nacional Autónoma de México), FICUNAM, that she founded two years ago, focussed on art house films and connections with contemporary art. As an editorial project connected with the festival she published the first Masao Adachi monograph and Artavazd Pelechian’s editing theory. 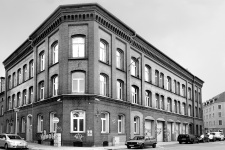 The old fire station was built in 1892 as domicile for the first professional fire brigade in Halle in Margarethenstraße (today Ludwig-Stur-Straße). Fire protection had previously been provided by a volunteer fire brigade. Halle was growing rapidly at the end of the 19th century and soon needed an additional fire station. The Feuerwache Süd, the Southern Fire Station, was regarded as the most modern in Europe when it was built in 1908. 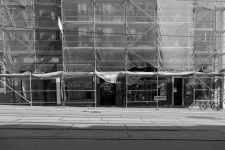 With the city expanding again in the 1960’s, the Alte Feuerwache was unable to provide adequate protection. The professional fire brigade moved into the newly built station in Halle-Neustadt in 1971/72. The Alte Feuerwache building continued to serve for several years as a surveillance centre for the municipal fire alarms. The Alte Feuerwache was then turned into the central police station and continued to be used by the police from 1990 to 2009. The building has been empty since the police moved out due to a renovation jam and altered requirements. 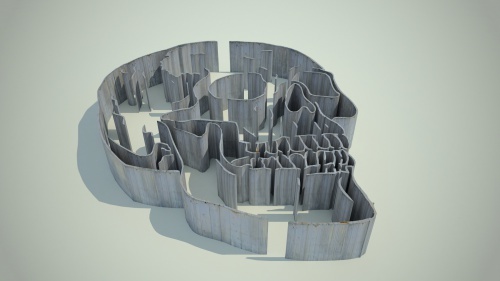 Laura Balboa (MX, *1979) is a multidisciplinary artist whose art and design projects focus on the topic of time and humanity mediated by its relationship with technology of all types. She is interested in the ideas of simulation, errors, identity, paradoxes, chaos, disaster, data, sound, the ability to change and modification, repetition, reproduction, accumulation and sharing. Balboa’s works move between the borders of video and live cinema, sound art and site specific installations as well as code poetry, live hacking, open data and the Internet. From 2008 to 2009 she was granted with the Jóvenes Creadores Program by the Fondo Nacional Para la Cultura y las Artes Mexico. She already presented her works in various places such as San Francisco, Québec, Mexico and Spain. In her interactive infography Balboa will point to the restrictions of geopolitics, treating the topic of ownership and sale of the top level internet domain “.tv”. 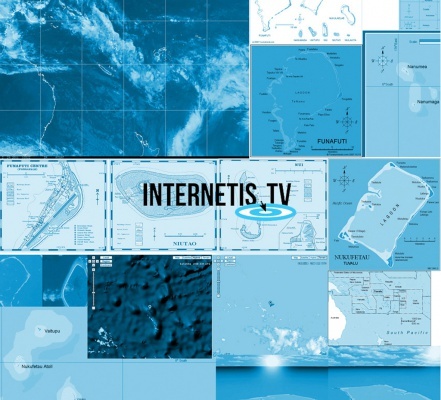 This domain is owned by the Tuvalu Islands, a tiny island nation in the Pacific Ocean which is expected to disappear into the ocean in the nearer future due to the sea-level rise as an effect of global warming and ecological decay. Balboa’s project seeks to develop a critical note on the uniformity of geopolitical power by recovering information on the use of internet domains. In doing so, it shows that the commercial imago on the net leads to serious omissions that, in turn, lead to disinformation and restricted access to critical realities. In this installation Balboa will point to the topic of compiling statistics to translate them into an understanding of the relationship between the reality of an isolated community that exists in its own terms somehow detached from western culture and the importance of keeping the notion of mass media preservation in the Internet. Media researcher Stephen Kovats is founder of r0g - an agency for open systems, cultural hacktivism and critical transformation. Previously he was artistic director of transmediale, co-director of the McLuhan in Europe 2011 Network and program curator at V2_Institute Rotterdam. In post-unification Germany he directed the 'ostranenie' media art forums focussing on the dynamic relationships between political and electronic space and on the transformation of societal landscapes in Eastern Europe. Maria Vedder (DE, *1948) has been a media-artist since the late seventies. Since 1991 she has been a Full Professor at the Berlin University of the Arts. She has written books about video: Kunst und Video and DuMonts Handbuch der Videopraxis (DuMont publishing house, Cologne). Her videos have been shown all over the world. Her work is part of many collections like at Museum Ludwig in Cologne, Germany, Neuer Berliner Kunstverein, Germany, Tate Gallery, Liverpool, England. The piece Susurrus follows on from Vedder’s artistic investigations into the ramifications of mobility, mass media and finance systems. 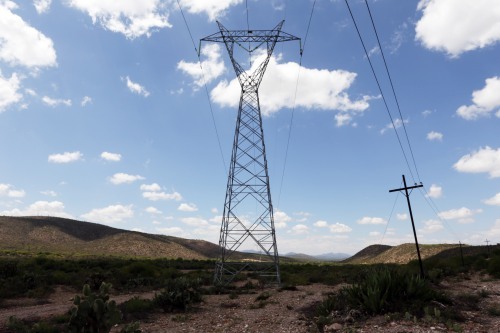 Susurrus is part of a global stocktaking of the electricity industry’s encroachments into nature and the landscape. At the heart of the installation is the electromagnetic radiation from the power lines that surround us ubiquitously though inaudibly. 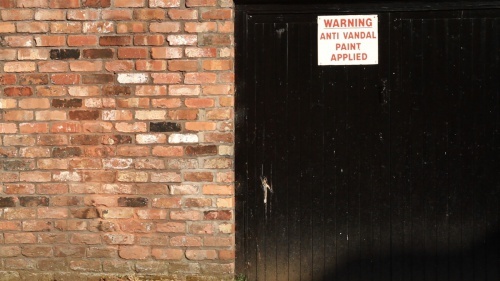 These immissions are regarded as a possible health risk. Since we cannot perceive them we suppress their existence. In Susurrus magnetic fields from above ground power lines are made audible using a homemade antenna. 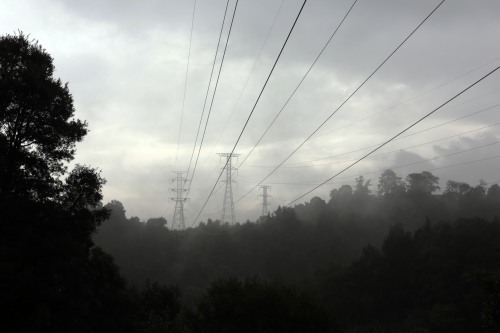 On the screens in the installation we see various landscapes with high voltage power poles filmed in Mexico. Every image is ascribed to the buzz of its respective electromagnetic field. Together, the different tone frequencies generate an audio composition deploying the exhibition space. Dieter Daniels, born 1957 in Bonn (DE), co-founded the Videonale Bonn in 1984 and has contributed to numerous projects, exhibitions and symposia in the field of media art. 1991–1993 he was head of the Mediatheque at the ZKM Karlsruhe and is professor for Art History and Media Theory at the Academy of Visual Arts (HGB) in Leipzig since 1993. 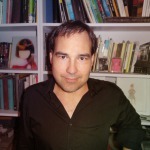 Daniels was responsible for the concept and was the co-editor of Media Art Net (www.mediaartnet.org). Between 2005 and 2009 he was director of the Ludwig Boltzmann Institute Media.Art.Research in Linz (AU). He has published on twentieth-century art, e.g. on Marcel Duchamp, Fluxus and media art: Kunst als Sendung (2002), Vom Ready-Made zum Cyberspace (2003), Netpioneers 1.0. Contextualizing early net-based Art (2009), Audiovisuology, An Interdisciplinary Survey of Audiovisual Culture, Vol. 1 Compendium (2010), Vol. 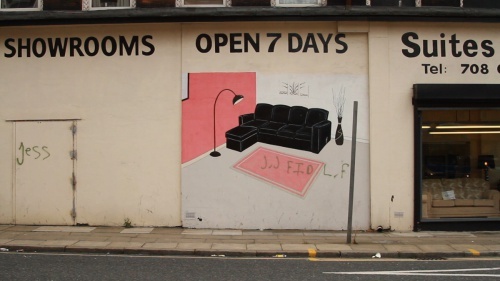 2 Essays (2011). Since 2010 Daniels is the speaker of the advisory board of transmediale. Marissa Viani Serrano (MX, *1986) uses video art to create poetic experiences in the free manipulation of time and space. Serrano has studied philosophy and film in Mexico and Germany (HFF Munich) and already has built up a body of fictional and documentary films as well as experimental short films. 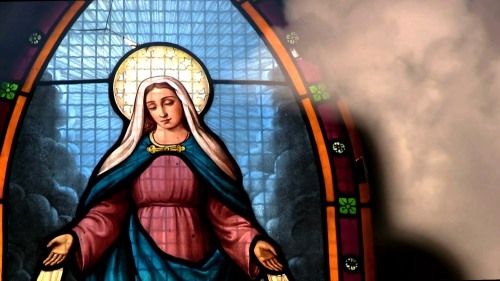 Her work was shown on festivals and in galleries in Greece, Syria, Italy, Poland, France, Spain, Germany, Mexico, Chile, Peru, USA, Australia, Singapore and South Corea. Frank Motz (*1965) founded the Kunstverein ACC Galerie Weimar with friends in 1988 and is its director and exhibition maker. In 2000/01 he studied in the independent study programme at the Whitney Museum of American Art in New York, where he worked as researcher for the Whitney Biennale 2002. He has been the artistic director of the art space HALLE 14 in Leipzig since 2002. In 2012 he put together the exhibitions Über den Dilettantismus [On Amateurism] and Mit krimineller Energie – Kunst und Verbrechen im 21. Jahrhundert [With Criminal Intent – Art and Crime in the 21st Century]. Public baths were established in many cities in the late 19th century. They were intended to improve hygiene in the city and to provide the population the opportunity of taking a hot bath. The Halle city bath, built by Wilhelm Jost in 1913–16, is from this period. The Stadtbad was equipped with halls for men and women as well as with a Roman/Irish style steam bath, public showers and bathtubs. The baths enjoyed an excellent reputation. The renovations in the 1970’s were however relatively insensitive towards the architecture. The large hall lost its domed roof and was given a sound-insulated flat roof. Bathing continues to today. Even the public bathtubs were used into the 1990’s. 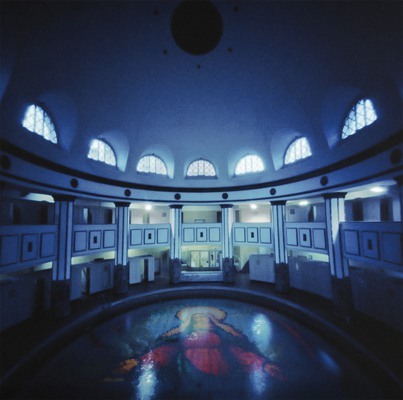 Today in the Stadtbad the large and small halls (the latter has retained its original dome) as well as the sauna are open daily for bathing guests and sport clubs. 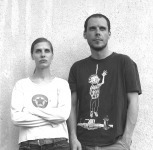 Nika Oblak & Primož Novak (SI, *1975 & *1973) have been working as an artist cooperative since 2003. They studied at the Academy of Fine Arts in Ljubljana and at the University of the Arts in Berlin. In their art practice they are exploring contemporary media and capital driven society by dissecting its visual and linguistic structure. 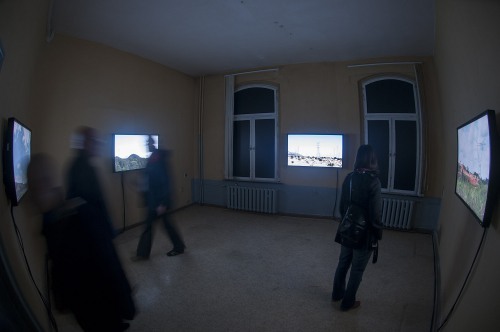 Oblak and Novak have exhibited worldwide, in venues like at the Sharjah Biennial (AE), the Japan Media Arts Festival in Tokyo (JP), at the Istanbul Biennial (TR), Biennial Cuvee in Linz (AT), the transmediale in Berlin (DE), at the Alexandria Biennial for Mediterranean Countries (EG) and most recently at the EMAF 2012 in Osnabrück (DE). Reality Is Out is a new pneumatic video installation in 3D, which refers to the previous work of the artist duo on the relationship between reality and fiction. They cite Slavoj Žižek who claimed that even today's reality has appropriated a fictional structure. 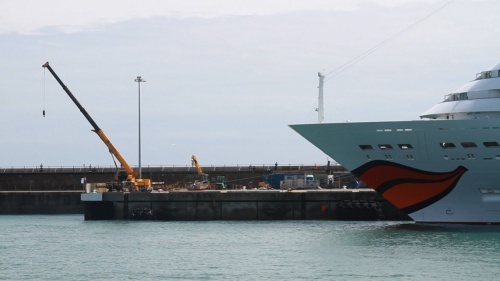 The installation will include a performance video by the Slovenian artists. 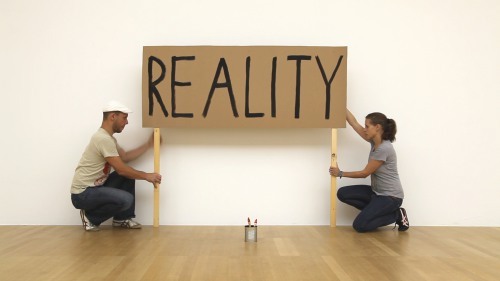 In the video they want to raise a sign stating the words “reality” above their heads so that it is out of shot. The video will be synchronized with a pneumatic system in the exhibition space. 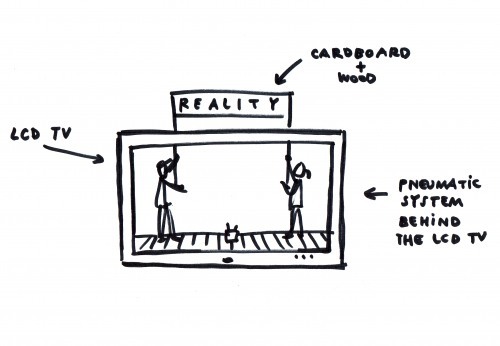 The actual cardboard sign with the text “reality” will appear as if exiting the video frame and literally entering the exhibition space, thus transferring a 2D video image into 3D actual space. As Guy Debord wrote, everything which was once directly experienced has now become a mere representation. Hermann Nöring (DE, *1966) studied media science, history, fine arts and education in Osnabrück and London. He is curator and co-director of the Electronic Media Art Festival (EMAF) in Osnabrueck/Germany since 1988. Nöring focuses on media arts exhibitions and electronic arts and has made several lectures on arts in new media, film and video e.g. 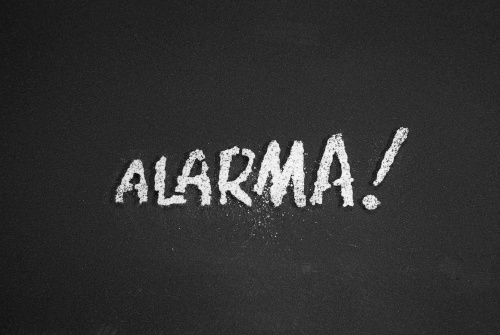 in Kyoto, Tokyo, Sao Paulo, Bogotá, Belgrad, Auckland, Mexico City und Athen. Besides that he was producer and director of several tv-features on electronic arts for German television NDR, RTL and Kanal 4. Nöring was also a jury member at Digital Sparks, Videokunstpreis Bremen, Artronica Bogotá and the Film Festival Moskau. He lectures in media science and communication studies at the University of Osnabrueck. Starcasino opened in November, 2011 in the ground floor of a Art Nouveau apartment house whose original facade relief has been largely flattened on account of various renovations. The residential portion of the building is almost fully occupied. The shop spaces at street level are however empty, as is typical of the area. 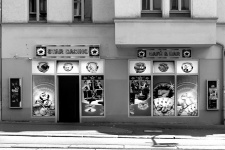 The casino is one of the newest businesses in Große Steinstraße. The space had been used as an amusement arcade since 1990. After being unoccupied for a period, the current owner undertook complicated renovation work before opening the Starcasino. It is the owner’s first independent business. Rebecca Lennon (*1981) is a British media artist, who combines sound, video, collage and live performance with incongruous technical and hand made props. Rambling, non-linear texts (or scripts) perform themselves silently, resolving nothing and often deferring subjectivity to the viewer. Informed by a sense of madness in the hysterical image consumption and endless mythologies of our time, Lennon draws from cinema, ebay, terrorism, protest, debt, cult and commodity, to warp and disturb the ideas and images that are familiar to us. And in doing so, she absurdly re-narrates our world into a place of papier-mâché heads, autotuned seagulls, terrorist screensavers and mushroom cloud smoke machines. Lennon graduated from the Slade School of Fine Art in 2010 and lives and works in London. She is represented by Ceri Hand Gallery. Inspired by the last words of Mexican revolutionary Pancho Villa († 1923) “Don`t Let It End This Way Tell Them I Said Something”, Rebecca Lennon’s residency in San Luis Potosí explores the legacy and mythology of revolution, voice and voicelessness and the transformation of the radical and extreme into spectacle. Like Villa’s words which imply everything and say nothing and are rendered authorless by historical reports that Villa died instantly by gun shot to the head, Lennon is interested in the Mexico of the mind, the cinematic landscape and the debris of ideas, ideologies, narratives and beliefs that have eaten their own logic and origins, so that they wilfully float in a state of empowered schizophrenia. Petra Reichensperger (DE, *1966) is a writer, lecturer and curator. She has directed the Kunsthaus Dresden – Städtische Galerie für Gegenwartskunst since February 2011. After completing her doctoral thesis in cultural studies and aesthetic practice she worked as research assistant at the Hamburg Kunsthalle from 2000 to 2002. From 2008 to 2009 she was artistic director of the exhibition space and artists' residency M.1 in the Arthur Boskamp-Stiftung in Hohenlockstedt. In 2010 she was responsible for the Goethe Institute project Raum für Raum (Space for Space) in central Asia and East Europe. In her writings, Reichensperger deals with the relation between theatricality and performativity, space and temporality, art and the public sphere. She is presently working on a series of exhibitions and publications entitled Terms of exhibiting, producing and performing. Rosa Menkman (NL, *1983) is a Dutch artist/theorist who focuses on visual artifacts created by accidents in digital media. The visuals she makes are the result of glitches, compressions, feedback and other forms of noise. Although many people perceive these accidents as negative experiences, Menkman emphasizes their positive consequences. In 2011 Menkman wrote The Glitch Moment/um, a book on the exploitation and popularization of glitch artifacts (published by the Institute of Network Cultures), organized the GLI.TC/H festivals in both Chicago and Amsterdam and curated the Aesthetics symposium of transmediale 2012. 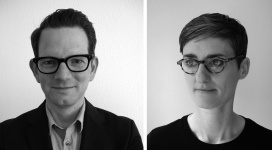 Besides this, Rosa Menkman is pursuing a PhD at Goldsmiths, London, under the supervision of Matthew Fuller and Geert Lovink. While Menkman’s work evolves around the use of artifacts that are generated through the (often) unruly use of media, paradoxically enough, the artist has always relied on very stable, conventional methods of display; through vj-softwares, online galleries, rendered film or in print. Besides the creation of a formal Vernacular of File Formats, within her static work, she also creates work in her Acousmatic Videoscapes. 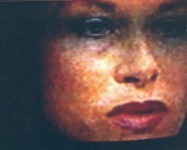 In these Videoscapes she strives to connect both sound and video artifacts conceptually, technically and sometimes narratively. By combining both her practical as well as her academic background, Menkman merges her abstract pieces within a grand theory of artifacts (glitch studies). In her residency in Mexico, Menkman worked on a 3D environment that incorporates and reflects her subversive, fragile and quirky methods. 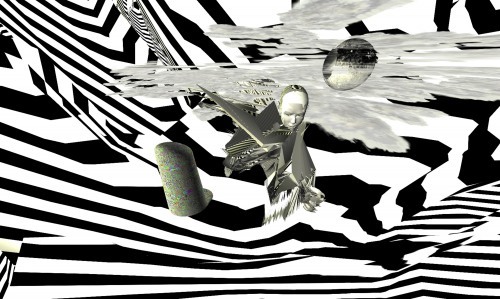 This medium is best described as a glitchy and awkward 3D environment through which her (video) artifacts can be navigated. The environment can also be used as a tool in live AV performance. Kristoffer Gansing (SE, *1976) is the Artistic Director of the transmediale festival in Berlin. He is interested in the intersections of media culture, art and everyday life. 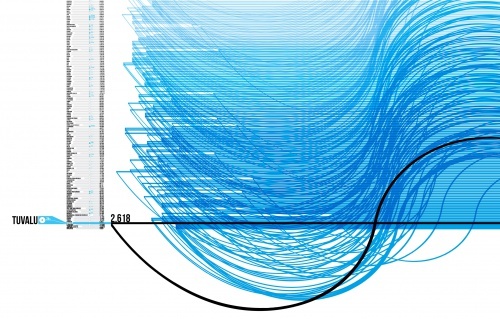 His research interrogates the contrasting parallel worlds and conflicts of network culture. 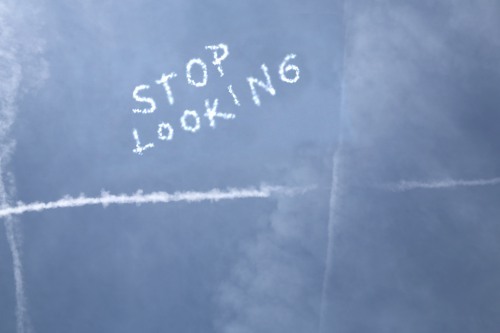 Gansing also co-founded The Art of the Overhead, a pioneering project of media-archeological art practices and between 2006 and 2010 he was active in the artist-run TV channel tv-tv in Copenhagen, Denmark. Rubén Gutiérrez´ art (MX, *1972) engages in drawing, installations, photography and video to re-examine existent forms of knowledge. 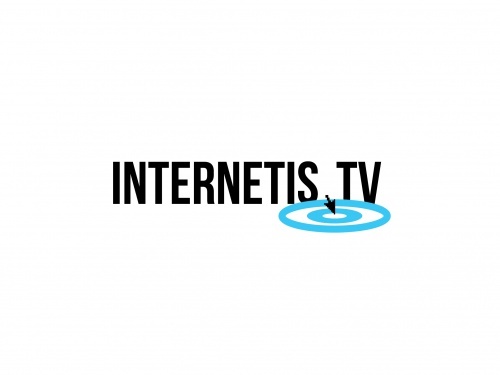 Especially his video works treat the texts and images of the global entertainment industry. He questions revolutionary claims circulating in mass media as an endless stream of illusionary reality concepts. Rubén Gutiérrez has shown his work since 1993 in exhibitions in Mexico and abroad, receiving the Acquisition Prize of the Mexican Young Artist in 2001 and the Acquisition Prize of the Biennial FEMSA in 2004. 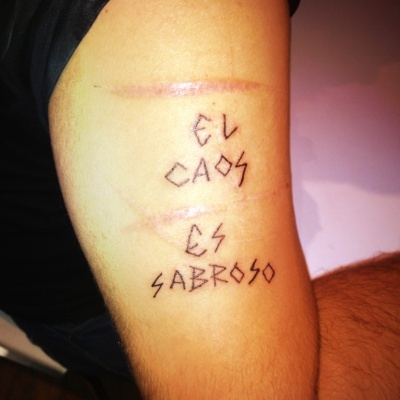 He is a member of the Sistema Nacional de Creadores de Arte since 2009 and founder of ObjectNotFound.org which is an independent non-profit art space in Monterrey, Mexico. In his video series called The Most Effective Way to Cover Up a Lie Gutiérrez analyses and discusses the common discourses within contemporary art practice as part of the mass media demagogy. His series of short experimental videos and photo documentation will be a criticism of consumerism, globalization, immigration, surveillance and the abuse of war as well as the limits of the human condition and the cacophony and corruption of power. His strategy is to propose teenage utopias while making an in-depth analysis of reality. Petra Heck (NL, *1975) works as a curator and head of exhibitions for the Netherlands Media Art Institute (named Monte Video before) since 2006. She made solo exhibitions together with Cory Arcangel and Omer Fast and curated numerous group exhibitions and events with Dutch and international artists that posed questions about the consequences of technological developments for contemporary (media) art, the artwork itself, and the artistic process. The exhibitions, performances, written manifestations and other forms of expression ranged from art-historic currents and themes to more popular cultural aspects such as gaming, and web 2.0, and how these relate to media art. She is interested in the ‘constructed’ border between contemporary art and media art. 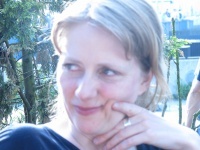 Petra Heck is a committee member of the Mondriaan Fund since January 2012. 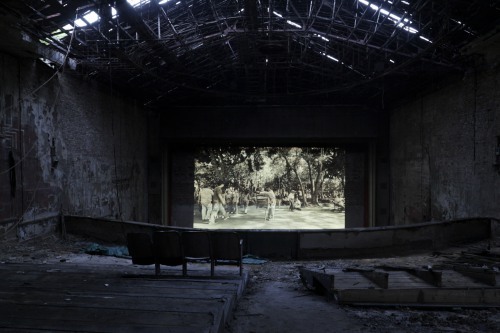 Tobias Rosenberger (DE, *1980) works at the crossroads of theatre, new media, fine arts and installation. 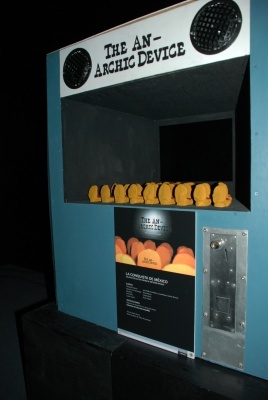 He has realized several interactive installations e.g. for the German and French Embassy in Sana'a/Yemen and Daning Life Hub in Shanghai. Rosenberger was granted with several residencies like the European Mobile Lab for Interactive Media Art (2008/2009), Esslinger Bahnwärter Bildende Kunst, Pépinières européennes pour jeunes artistes and Jaaga Bangalore, a residency programme supported by the Goethe-Institut / Max Mueller Bahvan. He lives in Shanghai. Ingmar Lähnemann (DE, *1974) studied art history, ethnography and spanish in Freiburg, Madrid and Bonn. After writing his M.A. thesis on contextuality in the works of Carl Andre and Dan Flavin based on Brian O’Doherty’s theory in his Inside the White Cube, he occupied himself intensely in his doctoral thesis with O’Doherty’s complete oeuvre. After a postdoctoral traineeship at the Kunsthalle Bremen and substituting there for the Keeper of Prints and Drawings from the 19th to the 21st century, he works as a research assistant at the Edith-Russ-Haus für Medienkunst in Oldenburg.